The Dale City Park and Ride is located at the intersection of Dale Blvd. and Gemini Way in Dale City, VA hidden behind Gaint Food. The lot is along the Gemini Way accessible from Dale Blvd. or Minnieville Road. Slugs from one line for both Pentagon and Rosslyn and the lot always has space for parking. 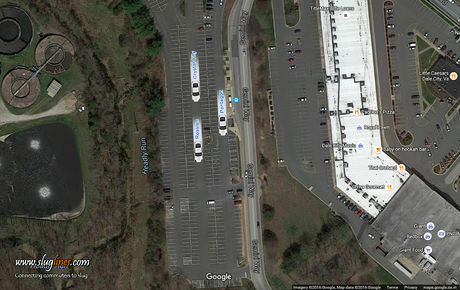 Slugging picked up from this lot after Potomac Mills reduced commuter parking space, but as there is no return lines from Pentagon most of the slugs get a ride to Horner or Potamac Mills and take a bus from there to Dale City parking lot.